The Pelican Storm Case has the same legendary DNA as our Pelican Protector Case, with one primary difference: A unique Press and Pull latch that locks automatically, but opens with a light touch. Plus our proprietary HPX polymer is proven to resist impacts, even in low-temperature laboratory testing. 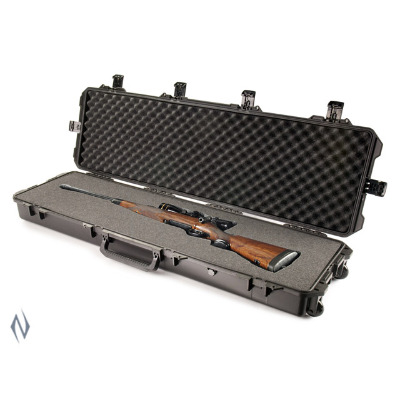 Guaranteed for life, the Pelican Storm case is made in the USA and engineered using the finest components. Stainless steel hinges and latch pins, smooth-rolling ball bearing wheels and the automatic Vortex valve to balance the air inside the case. Plus, rubber over-moulded Comfort Grip handles for an easy carry. If your laptop, camera or gun has to go through a waterfall, tumble down a rock scree and land in the bed of your truck, make sure it’s in a Pelican Storm Case.